We are pleased to share details of two forthcoming events at Manchester relating to ancient letters – one next week, and the other a ‘save the date’ for June. As part of the Inaugural Lecture Series of the School of Arts, Languages and Cultures, you are invited to Professor Andrew Morrison’s inaugural lecture on Wednesday 6 February. The title of the lecture is: “Dead Letter Office? Making Sense of Greek Letter Collections”. The letter collections of Greco-Roman antiquity dwarf in total size all of ancient drama or epic combined, but they have received far less attention than (say) the plays of Euripides or the epic of Homer or Virgil. Although classicists have long realised the crucial importance of the order and arrangement of poems into ‘poetry books’ for the reading and reception both of individual poems and the collection as a whole, the importance of order and arrangement in collections of letters and the consequences for their interpretation have long been neglected. This lecture will explore some of the most important Greek letter collections, such as the Letters attributed to Plato, and examine some of the key problems in studying ancient letters. The event will start at 5.00pm in the Lecture Theatre, Samuel Alexander Building and there will be an opportunity to speak with Professor Morrison after his talk over celebratory drinks in Room A4. The Aldine edition of Greek epistolographers, based on earlier medieval epistolaria and published in 1499 in Venice, is the first edition (editio princeps) of most of the 36 letter collections that it contains, and formed the basis for many of the subsequent editions. Despite its principal position and importance, the current value of the edition for the study of Greek epistolography is not widely understood. The aims of the proposed event are to explore: i) the roots of the Aldine edition; ii) its relationship to the medieval Byzantine manuscript epistolary collections; iii) its legacy and relationship to modern critical editions of the Greek epistolographers; and iv) its value for the needs of a modern editor and student of Greek epistolography. Our aim is to gather experts on the collections of ancient Greek epistolographers included in the Aldine. The event is being planned to take place on the 17th of June 2019 at the John Rylands Library on Deansgate in Manchester. It will be a one-day conference and in parallel there will be an exhibition of rare early printed editions of Greek epistolographers held at the Rylands Library. Full details and booking to follow, but please save the date! 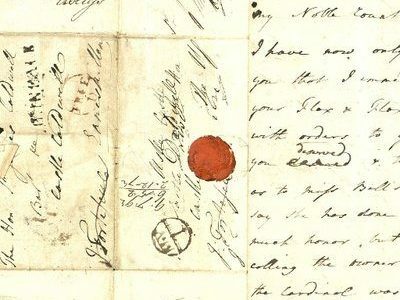 Next Public event: Creative Letters with LEONTIA FLYNN and ZAFFAR KUNIAL, 9 May 2019.